Want to quickly see how the open-source software Jcorp CMS works? You'll find a free and updated demo installation of Jcorp CMS here. We are currently updating the Jcorp CMS demo. Please check back shortly. There will be a new version up soon. 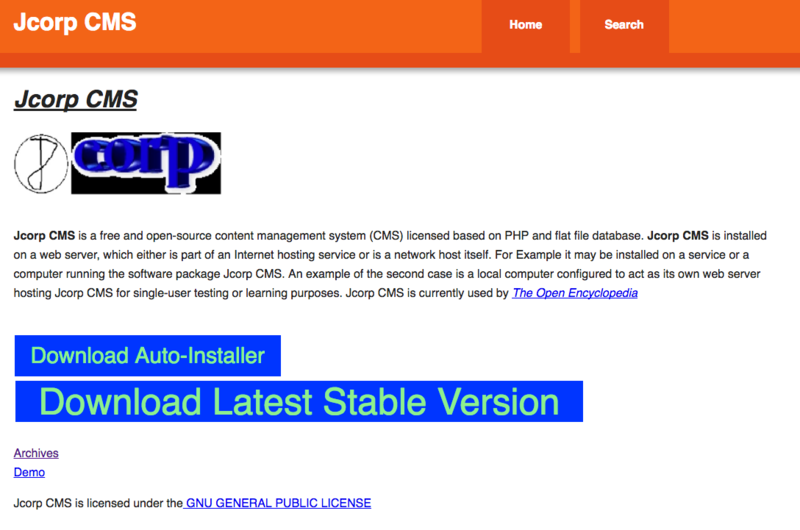 Jcorp CMS is a free open source content management system built in PHP that uses a flat file database. If you want to see how a Jcorp CMS demo looks like you can download it using the link below. Keep in mind that Jcorp CMS is installed on a web server or local computer configured as a webserver. Make sure your read the installation guide before setting up your demo site. You can either use the autoinstaller or install it manually. There are also a number of themes you can use the change the appearance of your demo site, or you can create your own theme. The latest version available for downloa is 8.93.90.